The ego-driven problems of the past that saw France players go on strike at the 2010 World Cup are well and truly consigned to the past as the latest crop of Les Bleus target a repeat of their 1998 glory. But coach Didier Deschamps, who captained France to World Cup victory in Paris two decades ago, faces a dilemma on the eve of a campaign which begins with a potentially tricky opener against Australia on Saturday: making sure his wealth of young French talent live up to their heady reputation. Having steered France to the cusp of Euro 2016 glory, Deschamps watched in dismay as Portugal punished France in extra-time at the Stade de France. 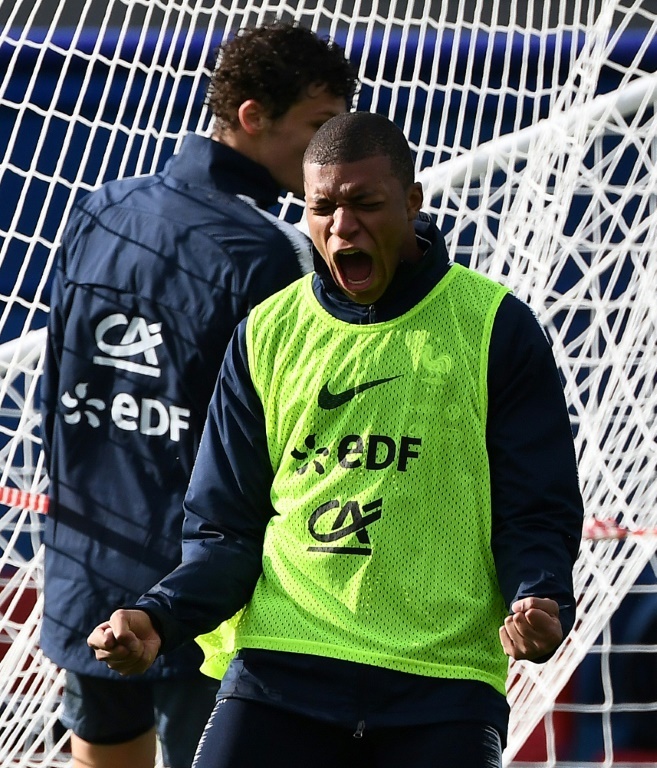 Two years on, France arrive in Russia with high hopes of young players like Kylian Mbappe and Ousmane Dembele although it remains to be seen whether those are sufficient when it comes to meeting the big guns of Germany, Spain, Brazil and Argentina in the later stages. "You don't win competitions on talent alone," 1998 World Cup winner Christope Dugarry warned. "You win because you've got the right mentality." 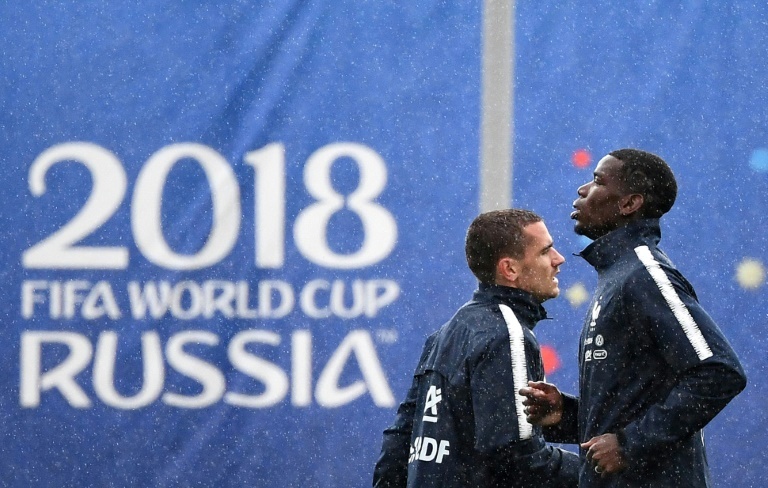 Fluffing their lines against Group C minnows Australia at the Kazan Arena would be unthinkable for most French fans, although the Socceroos -- who have talked up how they will fight tooth and nail to get a result -- have pledged to provide the first hurdle. "Come this France game we're going to be ready, and giving ourselves opportunities to win this game," warned Australia goalkeeper Mat Ryan. "We can't wait for Saturday." Bold predictions aside, on paper France should breeze through a Group C which also features Peru and Denmark. Antoine Griezmann, who announced Thursday he was resisting advances from Barcelona and staying at Atletico Madrid, is one of the hottest properties in world football and, as he did at Euro 2016, is expected to shine in Russia. 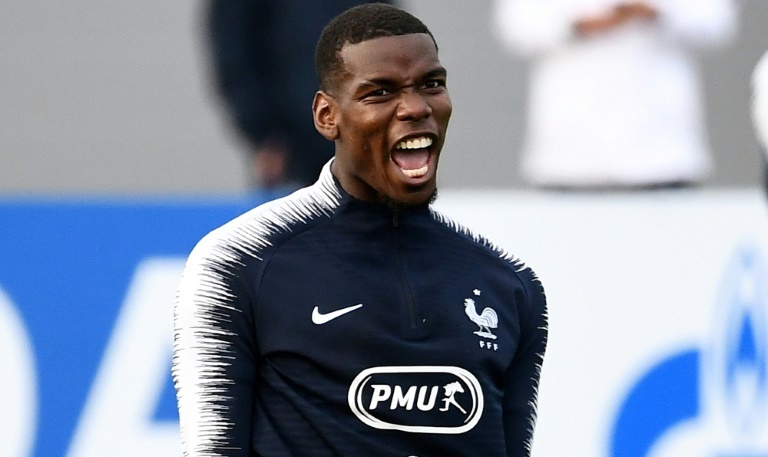 Two years after a disappointing Euro 2016, Manchester United midfielder Paul Pogba could finally shine on the big stage, along with 19-year-old Paris Saint-Germain striker Mbappe, who will be making his World Cup debut. In comparison, Australia coach Bert van Marwijk has yet to decide who will lead the Socceroos' attack, with former A-League reject Andrew Nabbout appearing to be leading the race ahead of Tomi Juric, who plays for Swiss side Lucerne. The Aussies' defensive game, a top priority for Van Marwijk since he was parachuted in to replace Ange Postecoglou in January, is still a work in progress. Australia have few big name stars, but Nabbout insists the gulf in class is not an issue. "We've got a job to do against France," said Nabbout, who is now with J-League side Urawa Reds. "We're aware of the big name players, the calibre they have. But we have a structure and a strategy, and if we execute that to the best of our ability then we can cause them some problems." Australia defender Josh Risdon, who postponed his honeymoon after a call-up to Van Marwijk's squad, admitted: "It's going to be a tough one to kick off our campaign." But he added: "The bigger the occasion, the tougher the opponent, the better we get up for the game." Eight years on from an infamous France players' strike in South Africa, from where striker Nicolas Anelka was sent home in disgrace after insulting then coach Raymond Domenech, Deschamps is in charge of a comparatively better behaved and respectful team. "The behaviour has been exceptional, they're polite and respectful," said French Football Federation president Noel Le Graet. "There's been a clear change when you consider the unbelievable stuff that went on in 2010. It couldn't have been worse. "Didier (Deschamps) has done everything to make sure the (squad) conditions are optimal." It is now up to Deschamps' young team to perform on the pitch. But success, says former World Cup winner Bixente Lizarazu, won't come easy. "A team of kids can't win the World Cup," he told So Foot magazine. "The guys have to get together and say: 'We want to make history, this is our time, we're going all the way!'."